I began gaining and losing weight in my 30s. At the age of 39 I was diagnosed with breast cancer. I was already 30 pounds overweight. After the mastectomy I stopped seeing myself. The weight packed on ,sometime stabilizing for a couple years at a time. I finally began trying this diet ,that program and I think I bought every book on "the way to eat " that hit the market. I never stuck with the program very long and if "the way to eat "worked I don't know because half the books I never read. I am not a person who just jumps into something without thinking long and hard about it. Some people I know would disagree with that assessment of me. But I know myself pretty well, and I mull things over for quite some time before jumping. I also DON'T like to be pushed. So.......it was my pushy husband who finally said to me, I'm losing weight, with or without you, but since you do my cooking, we should do it together. Spoil sport! This year, I turn 40. And, most of my life I've battled with the up and down of the scale. In November, I had been praying about becoming healthier - physically and spiritually. Later that month, there was a Black Friday special for joining Grace & Strength. How could I resist? I joined and then got cold feet. Making this change wouldn't be temporary. It would be hard. And, it was hard. But, in the roller coaster of weight, I can confidently say this time, it's different. 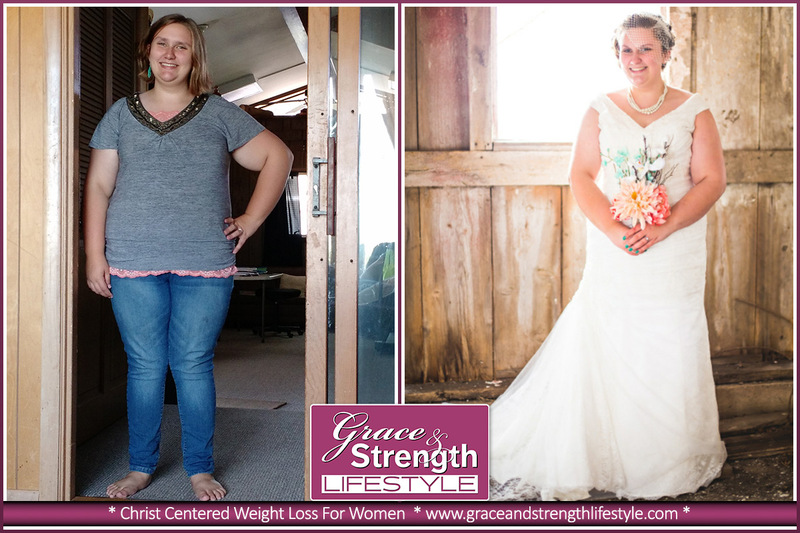 Watch Holly's video for an inspiring look into what a Christ centered weight loss journey looks like for a modern active woman. Great job Holly, and thank you for sharing your story with us! My Grace and Strength story had a very unusual beginning. In August of 2015, I got engaged, and he gave me this program as an engagement gift. For any other woman, this may have been taken very offensively, but at that time, I was terribly depressed, overweight and had a very unhealthy view of my body. I knew the woman I wanted to be. I wanted to be a Godly woman, a super wife and confident, but I was failing miserably at accomplishing the seemingly impossible dream.